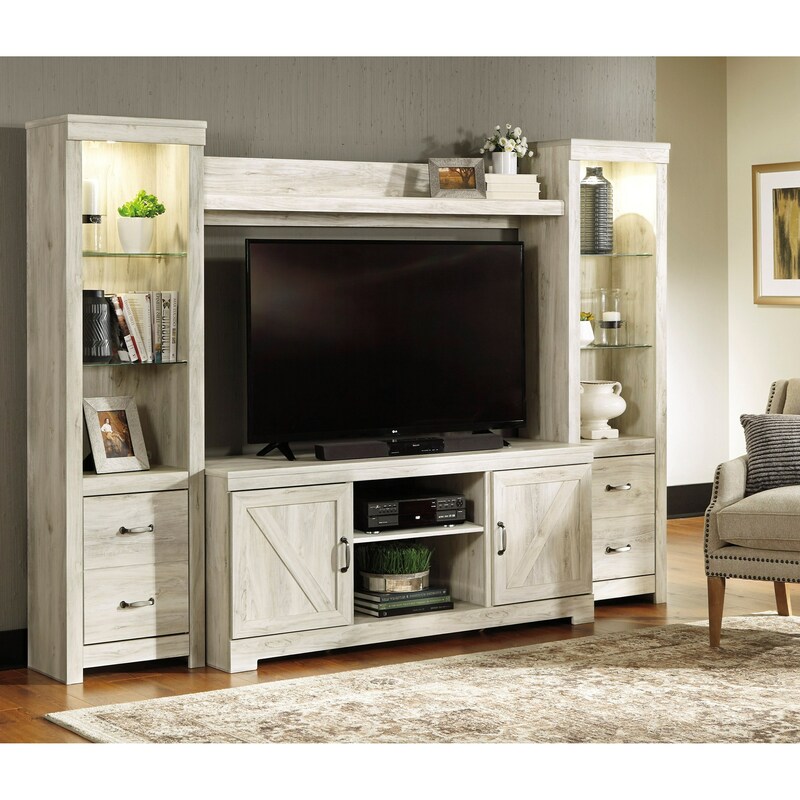 The rustic white finish over replicated oak grain of this entertainment wall unit set creates an inviting look for your home. 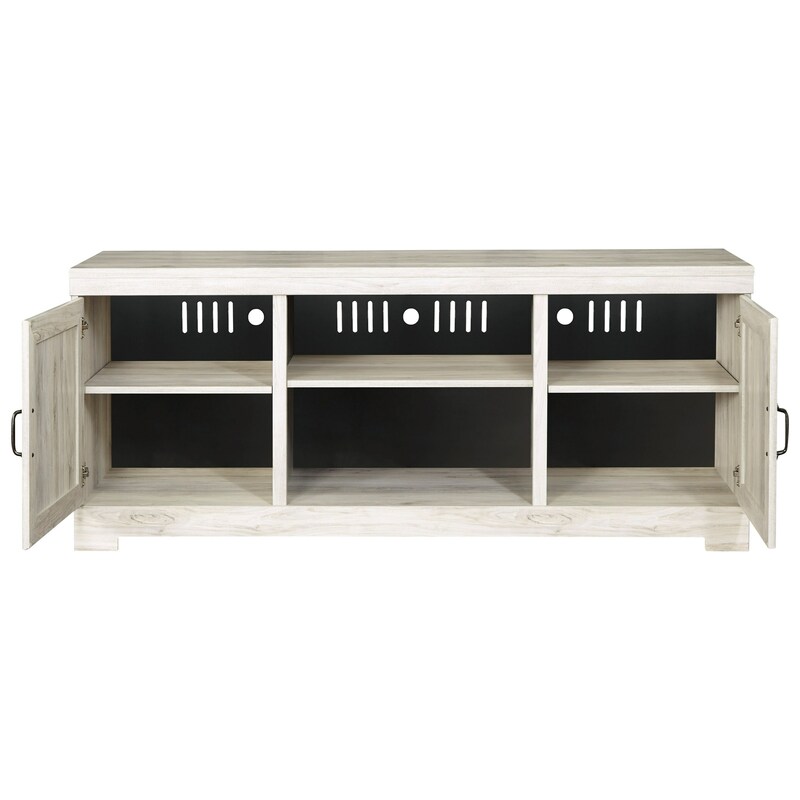 The TV stand, center bridge shelf, and two piers have a casual farmhouse design. 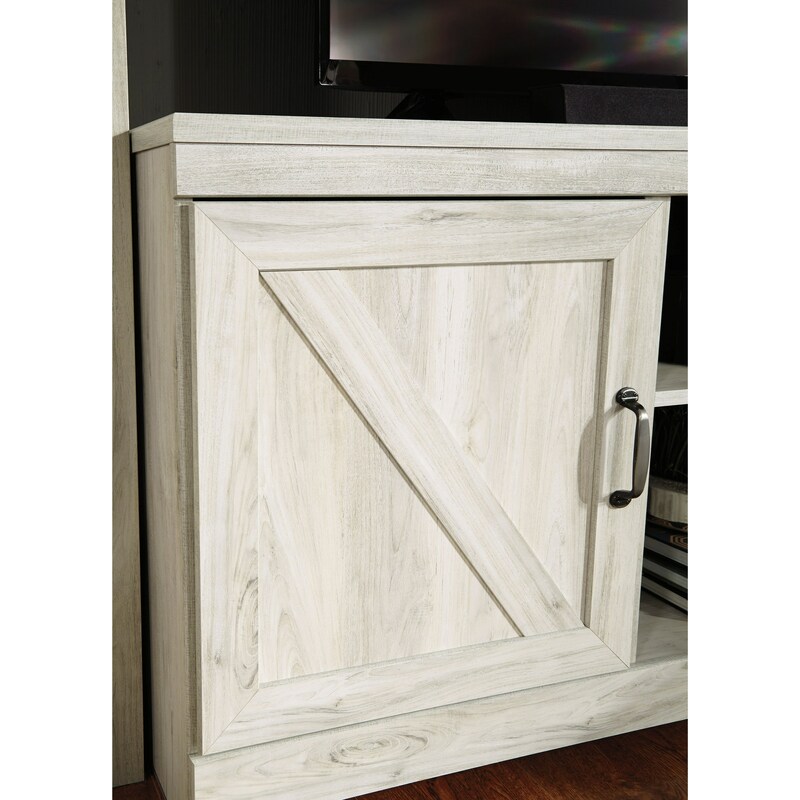 In particular, the angled crossbuck details and handle hardware in a brushed nickel finish of the TV stand add charm. 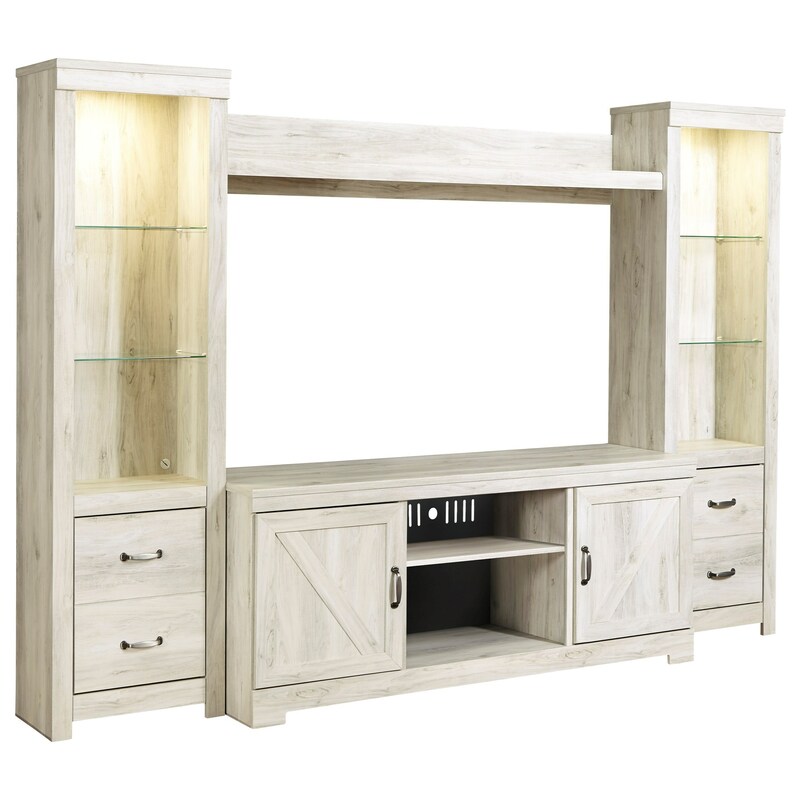 The set's simple clean lines make it an appealing choice for your entertainment space. 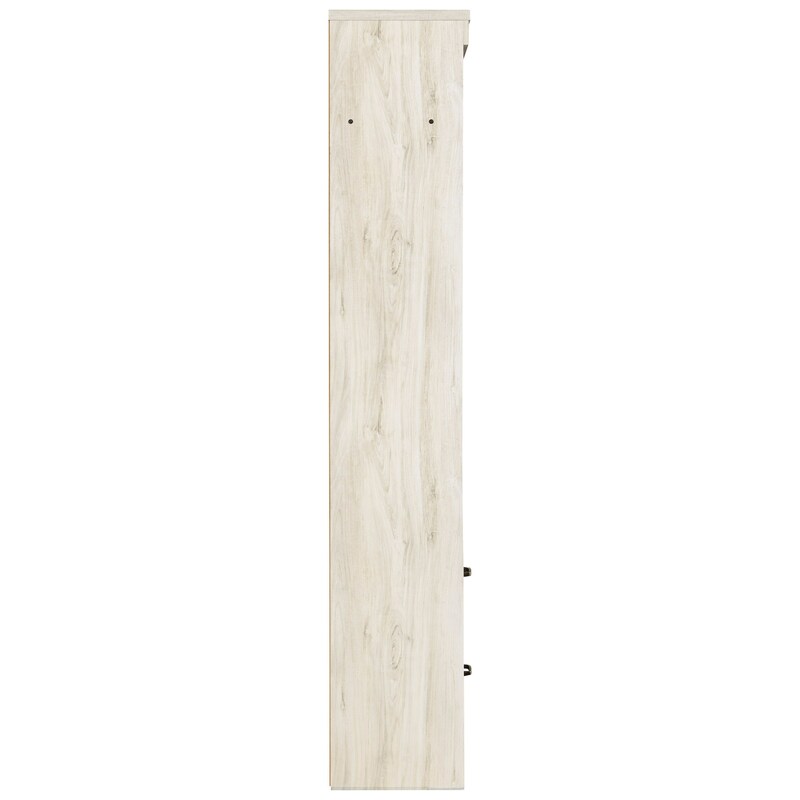 The piers each feature two glass shelves and a built-in light make it ideal for highlighting accents. 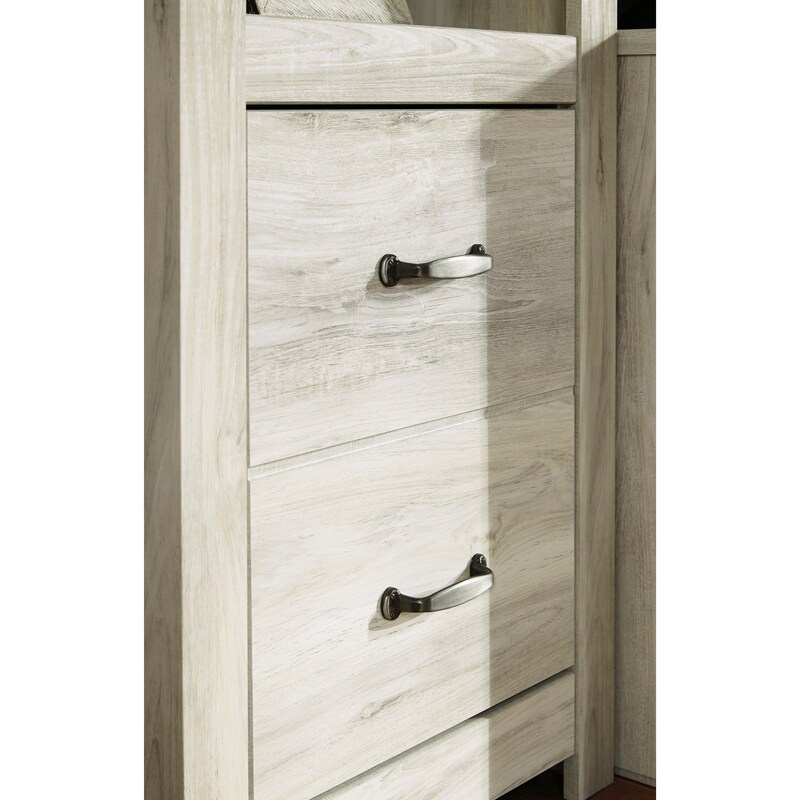 The base of the each pier has a door with an adjustable shelf and fixed base shelf inside for bonus storage.